We got a bit of late start on the garden this year, so we are just starting to get tomatoes. After a few disappointing years with tomatoes, we planted them in a new spot this year. Wow! They are looking great! We were having some trouble with tomato bugs, but a quick online search yielded a recipe for pepper spray, an effective, organic solution. It is basically a spray bottle of water with a few drops of dish soap and cayenne pepper. It clogged up the bottle a few times, but the Husband eventually got the plants sprayed. It probably helped that while he was spraying the plants, we found two tomato bugs and eliminated them. Things are looking much better now. In addition to the tomatoes, we have a couple of jalapeno plants. The Husband likes to can those so that we always have jalapenos on hand. This year they seem to be a different variety, long and skinny. Isn’t that half the fun with gardening, never quite knowing how it will turn out? I picked up a large canning pot at a thrift store this year, and I am looking forward to using for the first time with the jalapenos. We also have a large blackberry bush and a couple of rather pathetic blueberry bushes. Sadly, the season for both of those is over. I think that it is interesting to see that in Maine, blueberry season is just getting going. The kids always look forward to our bean tepee. This year I planted it with sugar snap peas. They love to eat these right off the plant in the backyard. Unfortunately, so did a gopher, who devastated the whole plant in about a week. I am leaving the tepee up to plant sweetpeas, though. Here in southern California, if you plant sweetpeas in August, theoretically you can have blooms by December and all through the spring. I’ve done it before, with varying degrees of success, but even if you don’t get Christmas blooms, you can’t beat sweetpeas in the spring. Always easy and ever useful, is our herb garden. It is bursting with thyme, oregano and a couple different types of chives. Our basil plants does better over in the vegetable garden. 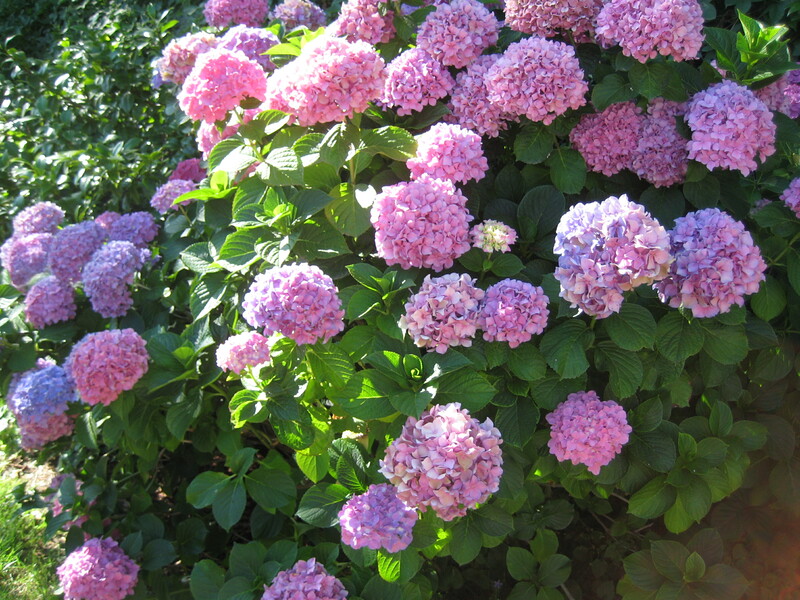 The flowers are going crazy as well. 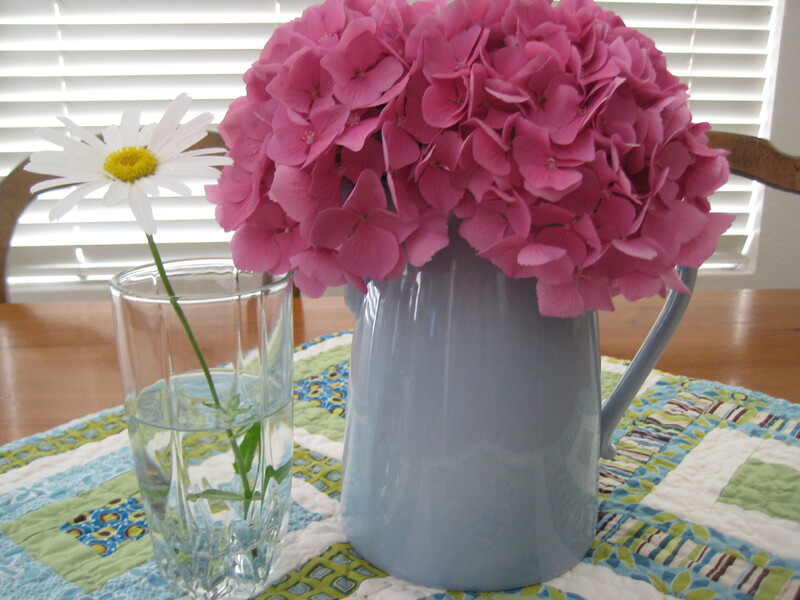 I love being able to cut flowers for the yard to bring in the house and summertime is especially plentiful. 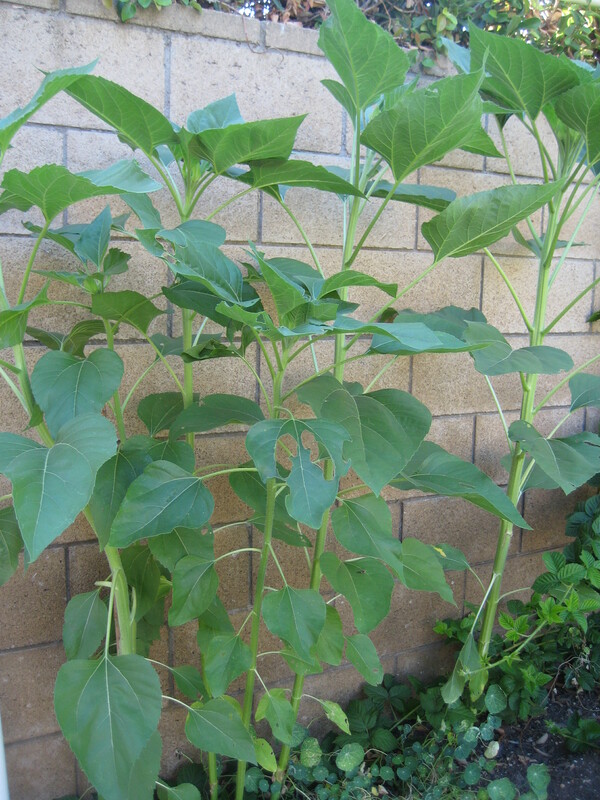 I can’t wait for the sunflowers to bloom, you can actually see them get taller everyday. 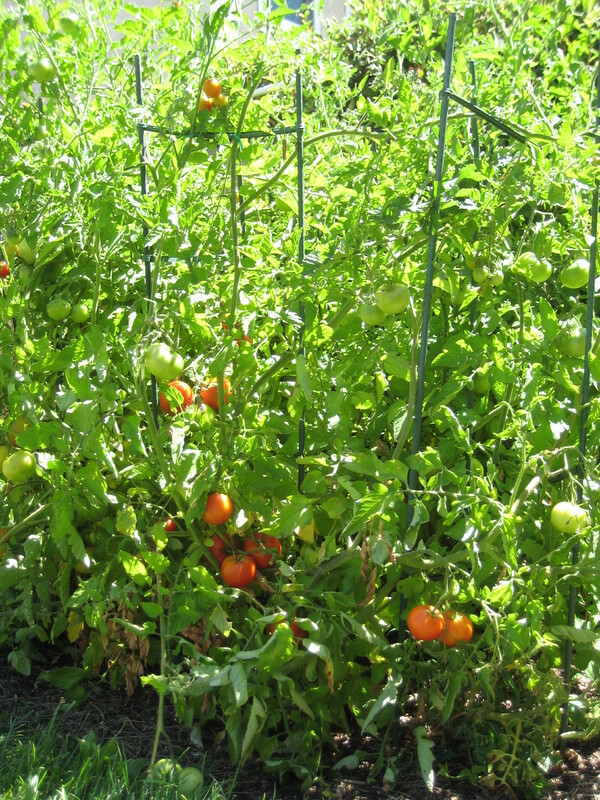 We planted them in the hottest spot in the garden, where the tomatoes have been in the past. They seem quite happy there. Your garden is very pretty! 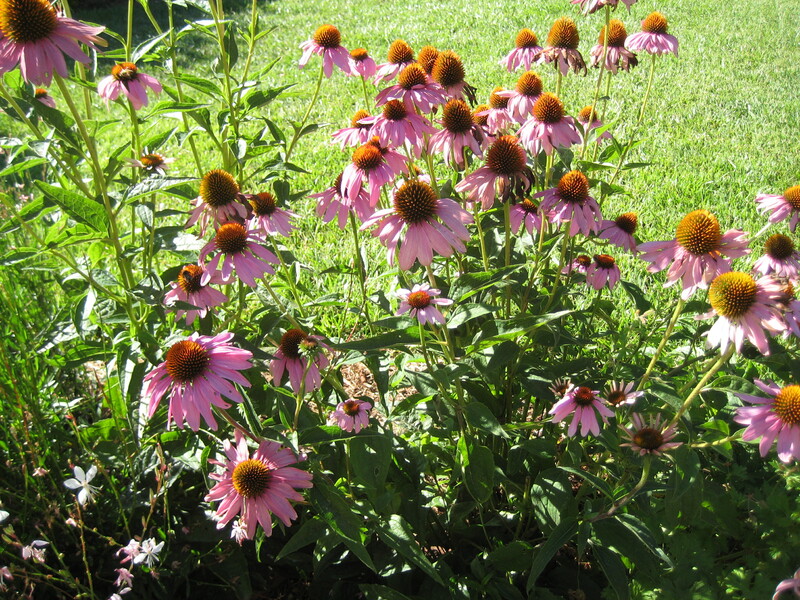 I especially love your coneflowers and chives, they look like they are growing beautifully!